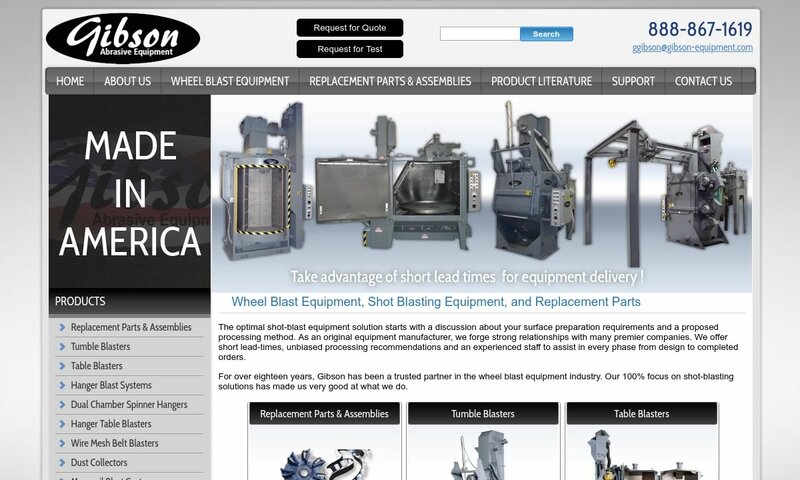 A reliable source for Sandblast Equipment information and a resource for accessing leading Sandblast Equipment and suppliers. Sandblasting is an umbrella term that applies to all media blasting processes, although its original and technically meaning refers exclusively to media blasting processes that employ sandblasters and silica blasting media. Sandblast equipment, also known as abrasive blast equipment, is machinery that has been designed to treat a surface with pressurized particles. Other than blasting, surface treatments conducted by sandblasting equipment include: descaling, degreasing, deburring, coat removal, smoothing, roughening, etching and carving. Surface treatments can be applied to all sorts of plastic, glass, metal and wood, depending on the equipment configuration and blasting media they’re paired with. Our sandblast equipment is designed to handle a wide variety of applications and we use manufacturing methods that guarantee these machines will stand the test of time. Our blast cleaning equipment is designed to handle a wide variety of industries and applications. We engineer and manufacture all our systems under one roof, ensuring the utmost quality and lead time control. 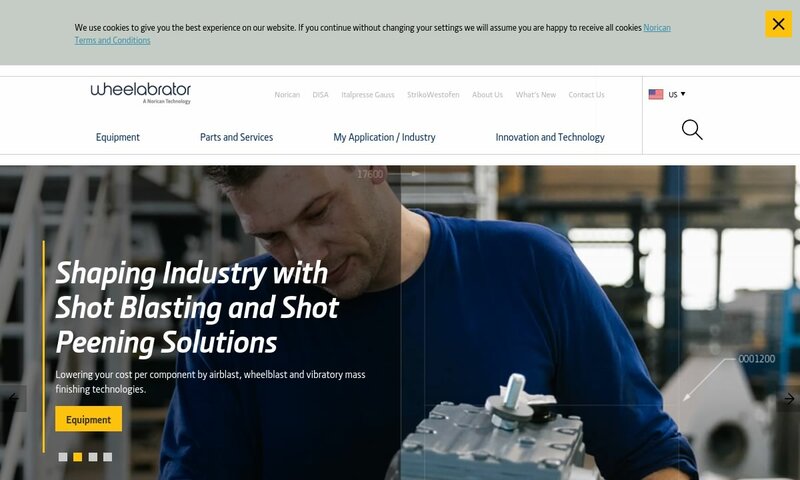 Wheelabrator serves a variety of industries around the world. 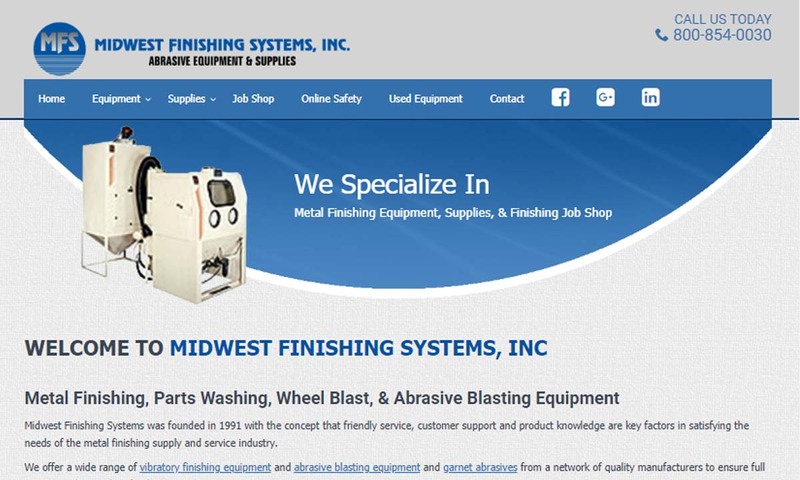 We design, supply and service equipment to make the process of blast cleaning run smoothly. Our blasting equipment includes blast cabinets, along with shot peening, airblast, wheelblast, wetblast and painting equipment. The first abrasive blast machine was invented by Benjamin Tilghman in 1870. His goal was to find a way to quickly and effectively remove rust and paint from old parts so that he could repurpose them. Then, in 1904, Thomas Pangborn combined compressed air technology (from the air processor, which had been invented in 1893), sand and the blast machine, to create the first sandblast machine. His invention proved quite popular, and workers began to use the process widely. However, not long after, doctors discovered that inhalation of the blasted sand could cause a lung disease called silicosis. In 1918, to combat this, engineers came up with the solution of enclosures. By placing the blast equipment inside an enclosure with viewing screens, manufacturers found that workers could conduct and observe the process without coming into direct contact with the sand. Later, engineers came up with more protections, including air filters, dust collectors and protective clothing. In 1939, sandblasting experienced another shift when manufacturers started testing alternative blast media. Alternatives ranged from glass beads to walnut shells. Today, the search for new blast media is still popular, as manufacturers are always looking for ways to make the blasting process safer and more sustainable. Sandblast equipment works using a blend of abrasive sandblast media, high pressure and, sometimes, water. (Abrasive media is another term used to refer blasting/polishing/grinding media. Abrasives are either loosely gathered or formed into bricks, files or wheels or stuck to cloth or paper with resin or glue.) Using these components, sandblast equipment scrubs parts clean and/or smooths them when they send the either compressed air or pressurized water, mixed with abrasive media, onto a substrate surface. When the blast media hits the surface, it scrubs, scratches and erodes it. Traditional sandblast equipment is divided into two main categories: wet blasters and dry blasters. Wet sandblasters, used mostly with surfaces that need cooling in addition to cleaning, spray a combination of blasting media and pressurized water. Dry sandblasters, the more common of the two, blast powerful stream of air-compressor fed abrasives through a blast nozzle. They effectively smooth surfaces. Dry sandblasters can be broken down into three common subtype configurations–siphon, pressure pot and gravity-fed. Siphon sandblasters feature media held below the nozzle. They work by passing a stream of compressed air next to unpressurized abrasives that, due to the pressure change, get caught up in the stream. Basically, the work using suction. Siphon sandblasters are cost-effective because the used sand can be collected in a reservoir and reused. Pressure pot sandblasters work almost exactly same way, except that abrasives are negatively pressurized to allow for a more efficient air-particle combination. Pressure pot sandblasters use canisters or other vessels to which the blast hose, or gun, is attached. Pressure blasters are known to be easier to use than the other types. Unlike the previous two, gravity-fed sandblaster systems use gravity itself to direct abrasives into the air stream. Media used with a gravity-fed sandblaster is held in a hopper, from which manufacturers direct it into the barrel of the blasting gun. Grit blasters use highly pressurized streams of abrasive material and slurries to clean or resurface industrial products, parts and components. They may use any number of abrasive types, like: alumina, sand, emery particles or walnut shells. Most often, they’re used to remove sand and scale from billets, stampings and castings. In addition, manufacturers use grit blasters to prepare metallic surfaces for welding. They make the surfaces smoother and improve coating adhesion. Shot blasters hurl shot, a type of dust-free media, at a high velocity, to remove debris, paint and buildup from a selected surface. Shot blasters are most effective on coarse metals. Micro-blast machines, also called micro-jet machines, are custom designed for specialty applications that require selective surface preparation, materials removal and finishing. Shot peening equipment cosmetically and mechanically modifies the surface layer of metals. Soda blasting equipment uses pressurized streams of sodium bicarbonate (baking soda) for the cleaning or resurfacing of industrial components. Baking soda blast is a healthy media alternative to silica blast, which can be harmful to human health if ingested or inhaled. Bead blasters use high-pressure streams of spherical, bead-like abrasives to clean or resurface components from commercial, domestic and industrial settings. Most often, bead blasters are used to surface treat car bodies. They also work well for removing embedded fungus and calcium deposits from tiles exposed to water. They are not recommended for use with small parts. Blast rooms are extra-large enclosed abrasive blasting areas. Typically, they consist of: a containment structure, an abrasive blast system and a dust collector. Often, they also have one or more recycling systems. Portable sandblasters are designed for single treatments of large surfaces.  They are used by different companies that move from one work site to another, such as building restoration companies. Automated blasting machines and sandblast cabinets can be programmed to regularly media blast certain areas or products. This way, users can conduct large scale treatments. Wheel blast machines propel abrasives onto coarse surfaces by converting electrical energy into kinetic energy. They are best used in the service of large machine surface treatment or the treatment of parts with large surface areas. Air blast machines blast metal abrasives onto a surface through compressed air. While every sandblaster type is different, in general, they have the following components: blasting media, air compressors or pressurized water, nozzles and dust collectors. Generally, blasting media shapes are divided into two categories–angular, or sharp-edged, particulates and rounded beads. Angular particulates are chosen for applications like descaling, surface texturing and cleaning, deburring and paint and coating stripping. Usually, angular media is made of flaked carbides, ceramics, copper, aluminum oxide, gold, iron, glass, plastic, stainless steel, steel grit, wood or acrylics or baking soda, silica, nut shells or fruit kernels. Rounded beads can be used as media for the same as applications as angular particulates, but additionally, they can be used in peening and shot blasting. Rounded media are usually made of some sort of glass, metal or ceramic beads. Air compressors are a component of dry blasters. They generate the powerful stream of air that flings the abrasives against a surface. Pressurized water is a component of wet blasters, which are much less common than dry blasters. Pressurized water helps cool surfaces during blasting treatment. Nozzles direct the blast stream. Most often, sandblast equipment uses ceramic nozzles. 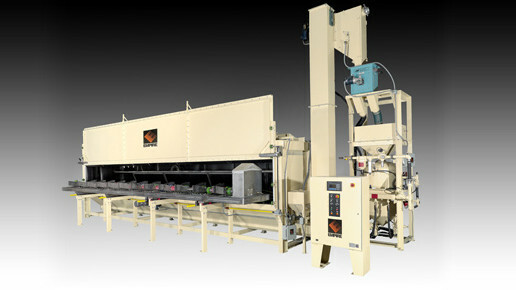 Manufacturers include a dust collector system in most blaster designs. Dust collectors capture and collect as much of the dust produced during the sandblasting process as possible. Not only do dust collectors reduce the amount of harmful dust in the air, but they also help in reusing and recycling media. To use sandblast equipment, the first things you need to do are: connect the hose to the air tank and connect the nozzle to the hose. Then, fill the vessel with your media. Make sure that all of your pressures are properly calibrated and matched. Finally, flip on your machine. From here, you can direct the blast wherever you want it. This usually means pointing the blast gun and pulling the trigger. Other times, this means triggering the gun remotely. Sandblast equipment offers a myriad of benefits. These include: speed and efficiency, cost-effectiveness, versatility and sustainability. Because you can collect and reuse residual media, the process is much more sustainable than it once was. In addition, since manufacturers now use more environmentally friendly media, like ground corn cobs or baking soda, sandblasting does not have to take the toll on air quality and/or water purity that it once did. When designing a sandblast system, manufacturers consider several application-related factors. These include: project scope and size, the application focus (texturing, cleaning, paint stripping, etc. ), client budget, client deadline and environmental regulations. These considerations will inform choices about the machine type as well as the type of media they’ll use. If the application calls for paint stripping, for example, they’ll turn to angular media, which is better at scratching off material. If they’re looking to strengthen a surface, on the other hand, they’ll pick round media. Round media is better at imparting compressive stress, something that can strengthen a surface. If a customer is seeking to be eco-friendlier, manufacturers can use plant-based media or baking soda. They may also choose media like this for a customer with a smaller budget, as plant-based media is fairly inexpensive. To create a custom sandblast system, manufacturers can add features like: remote control power, a moisture separator, a blast hood or an outer case. They can also fabricate nozzles from custom material and design custom hoses. To help you design and to make sure you are enforcing a safe working environment, OSHA requires you follow their guidelines. Guidelines include blaster equipment standards, as well as facility standards. For example, when undergoing sandblasting projects, make sure to wear protective clothing and a respirator. In addition, introduce blast cabinets and ventilation into your workspace environment. Also, work towards sustainability by recycling and reusing residual blast media. If your application allows for it, you can use organic blast media like ground corn cobs, sand, crushed walnut shells, garnet, emery, baking soda, flint and corundum to the risks of reduce air and water pollution. When properly constructed, installed and maintained, sandblast equipment is an asset. On the other hand, if it is poorly made, incorrectly installed or not well-maintained, it can be a hazard to human and environmental health. So, it’s very important that you work with a reputable manufacturer who will not sell you a bad machine or offer you bad advice. 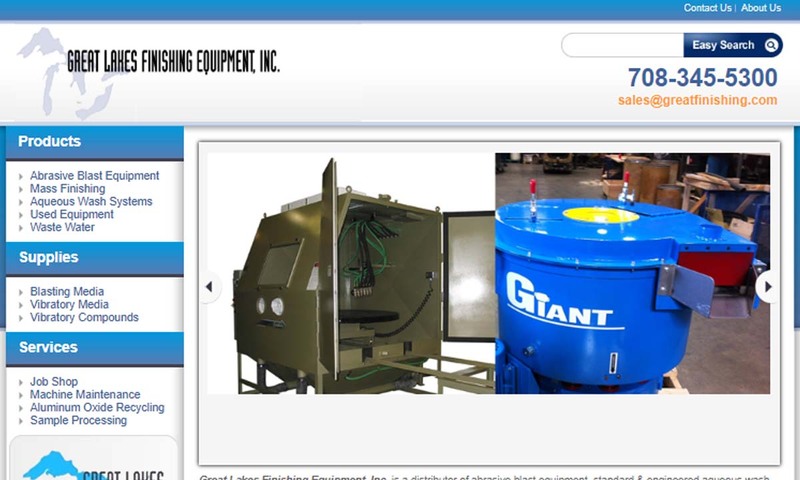 To make sure you’re connected with a manufacturer you can trust, we’ve put together a list of industry leading sandblast equipment manufacturers. All of these manufacturers are vetted, and have proven their worth over and over again. To figure out which one is right for you, take some time to check out their profiles, which are dispersed throughout this page. 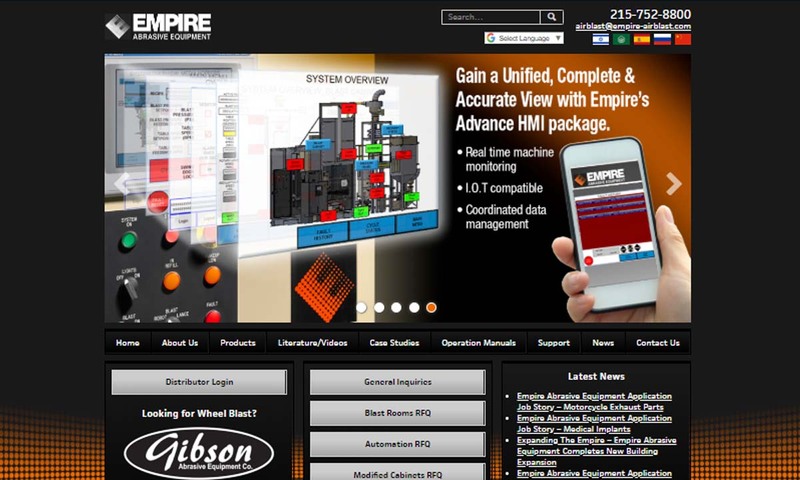 As you browse, have your specifications at the forefront of your mind. In fact, it’s a good idea to have a physical list of those specifications in front of you. Pick out three or four who you believe hold the most potential for your application. Then, reach out to each of them individually. You can request a quote or you can call them and have a conversation. Either way, make sure to find out: if they can meet your standard requirements, if they can work within your budget, if they deliver, if they offer installation and post-installation support and if they can work within your timeframe. Compare and contrast all their answers, and then pick out the one who is right for you. Good luck!